From the days when our forefathers began draining roofs, gravity drainage has been the used to move the rainwater from the roof to the ground. The Technology is HydroMax™ Siphonic (Syphonic) Roof Drainage System. 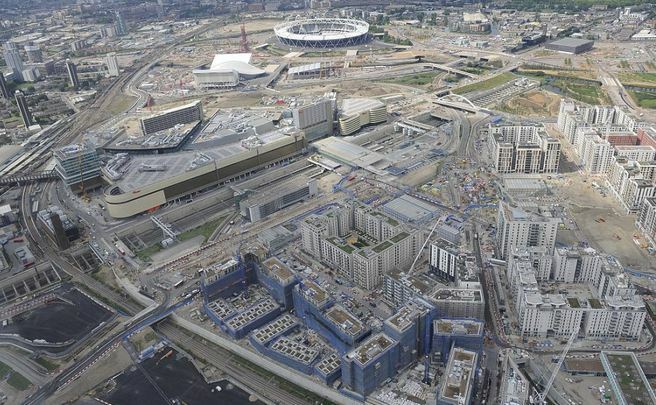 Siphonic Drainage offers a unique technology whereby you can achieve many Technical and Commercial Benefits. 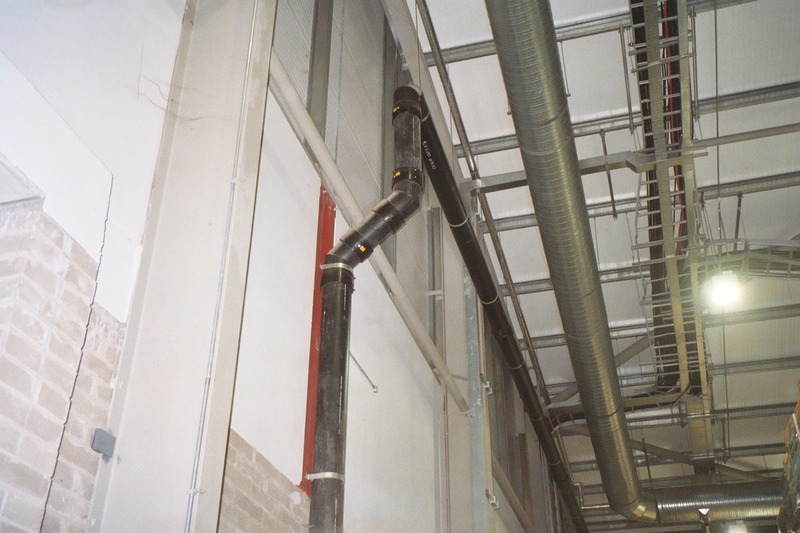 Through the use of a siphonic roof drain to eliminate air ingress into the pipework, the horizontal pipes prime full of water which then accelerates down the vertical downpipe inducing a negative pressure flow - hence the siphonic or syphonic name. This results in high flow velocites that self cleanse the pipework and extremely efficiently removes the rainwater from the roof. Contrary to common misconception, our siphonic roof drainage systems are self draining after a storm event and advanced inducer design result in low ponding on the roof during rainfall events (refer to our flow graphs from testing to BS 8490:2007 and ASME A112.6.9:2005) and . 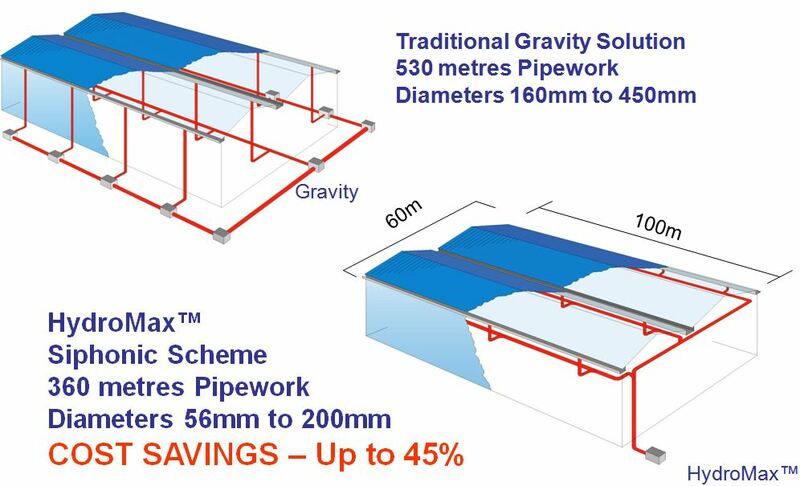 HydroMax is The Roof Drainage Solution. 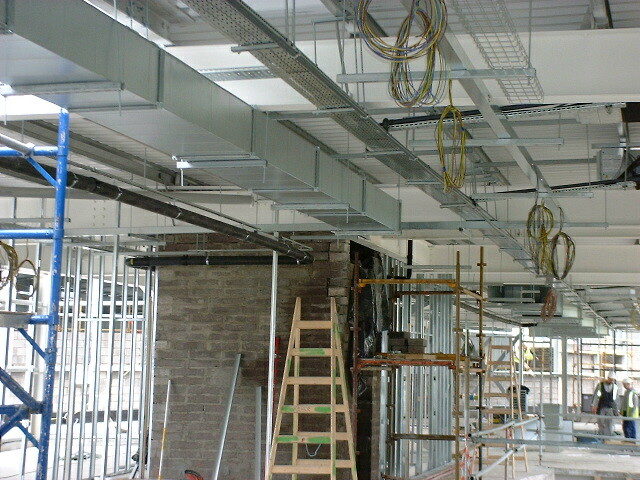 Reduced Construction build-program due to less ground works, less pipework, etc. (less restrictions on building space usage). Environmental benefits because HydroMax™ makes routing to Harvesting/Retention/Attenuation easier. Less ground disturbance, fewer Raw materials, etc.